IN the nightlife world, the women are usually ones wearing the crown. But starting today, 8th Nov, Alley Bar wants to hand the men the keys to the castle. Even if just for one night a week. Gather the gang every Thursday and head down to Alley Bar at Peranakan Place, because the beer – Heineken, Erdinger and Guinness – is flowing all night till closing for a mere $10++. If you need something stiffer, the bar is also offering Chita whisky, Roku gin and Effen vodka at $138++ per bottle. These usually goes for upwards of $300 per bottle, so we’re talking more than 50 per cent savings. Between 5pm and 9pm, Alley Bar also serves a sumptuous dinner comprising one main, one dessert and most importantly, a cold pint. The menu is pretty solid. We’re partial to the crispy buttermilk chicken with waffle but there are also beer battered fish and chips and steak frites if you’re feeling ravenous. The set is priced at $28++ and is the perfect start to your boozy night out with the boys. 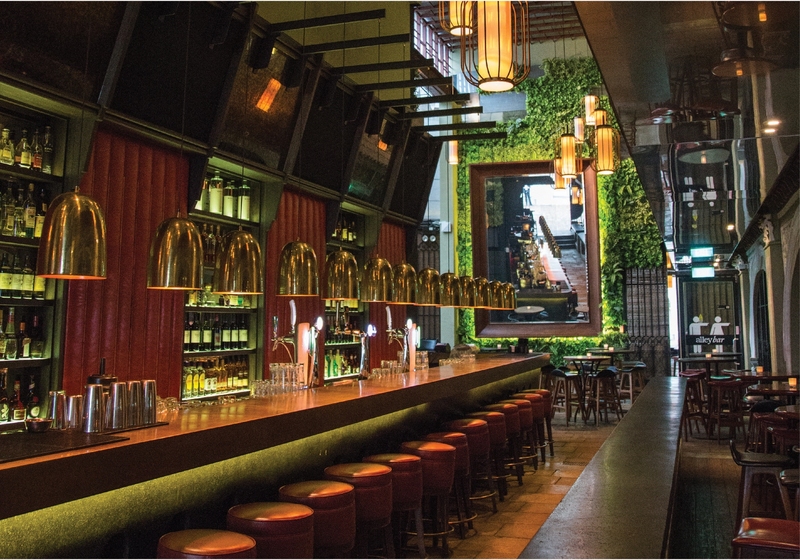 Alley Bar, 2 Emerald Hill Rd, Peranakan Place. Tel: +65 6738-8818. Lad’s Night (Thursdays): 5pm to 2am.